It’s a chilly evening in the heart of the ice sheet with temps hovering around -40F. 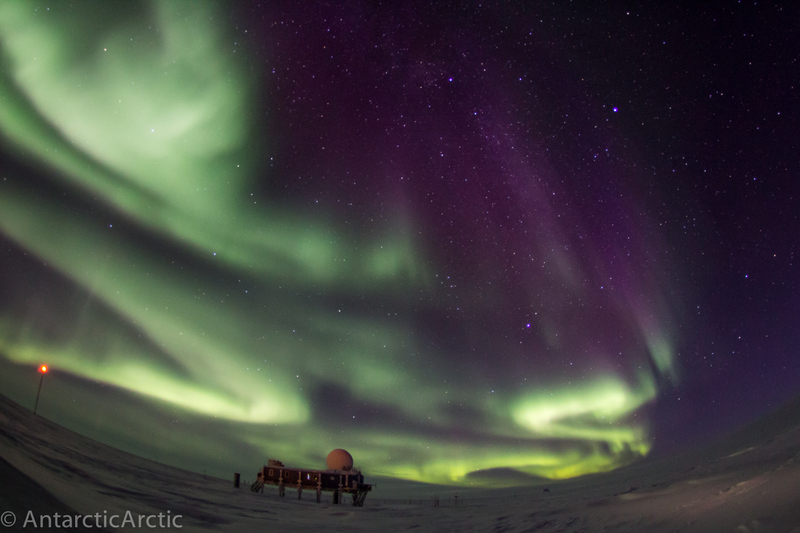 We are outside, however, to witness a fantastic display of auroras! Tripods frost up, breath freezes on gaiters and hats, plastic becomes brittle, and above us the sky is alive. 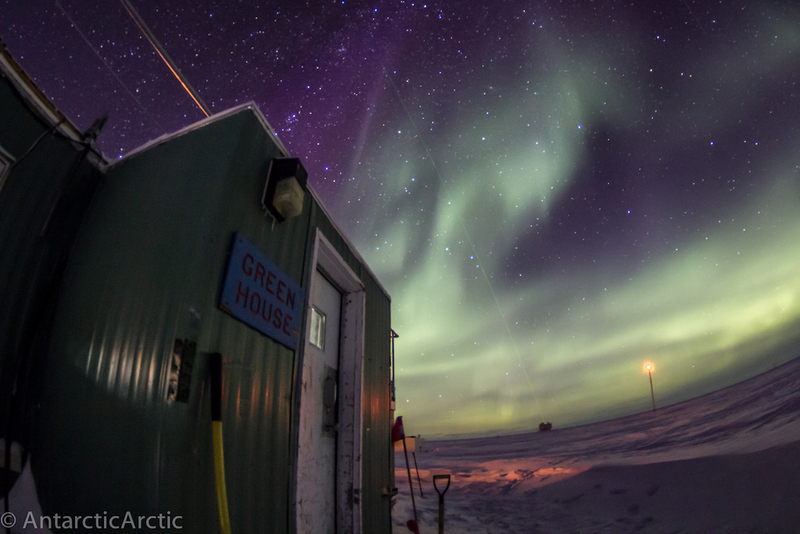 I’ve written about auroras in a few previous posts here and here so I won’t go into too much detail, but a brief summary is that auroras are caused by energized particles from our sun striking gas molecules in the atmosphere (much like neon displays). The colors are due to which molecules are excited – green is caused by oxygen around 60 miles up while nitrogen causes the red-purple auroras. Solar storms and flares release waves of charged particles which can be predicted and tracked. 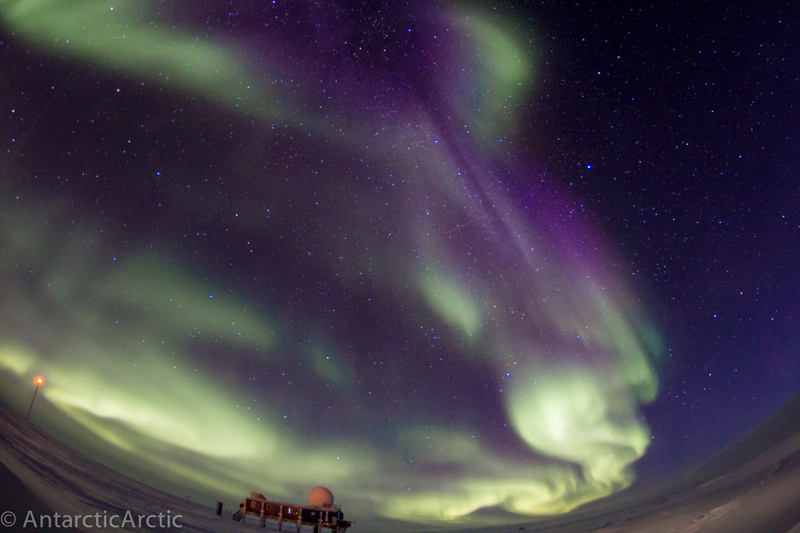 To see the aurora forecasts and where they might be visible check out NOAA’s Space Weather page here: www.swpc.noaa.gov. NASA also has a fantastic page on Aurorae with photographs of aurorae on other planets! The green line coming out of the far building in the last image is the CAPABL LiDAR I discussed in my previous post. The red light is the 50m tower.